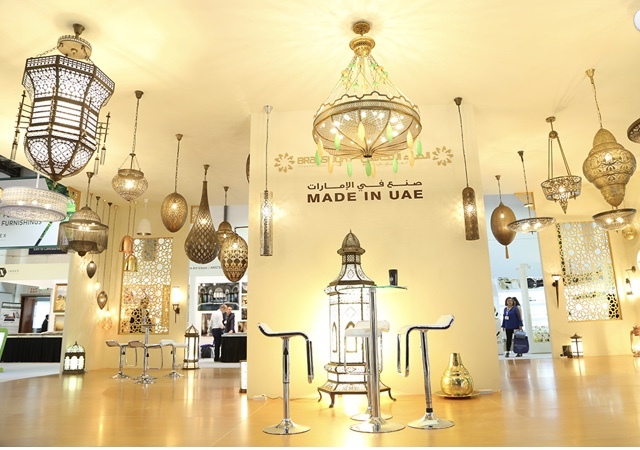 Welcome all to INDEX, the biggest showcase of Interior Designing Products in the Middle East & North Africa. This is the 2nd time when HomesScope have become the Media Partner for INDEX Dubai 2018. Being a Lead Generating and Branding platform for designers and Interior companies across the world, HomesScope Team will be there at INDEX to promote this year’s exclusive interior design companies and new Design business start-ups. We focus on helping interior companies source out the best design products from the Middle East and across. We also target best interior companies from around the globe, promote them in the Middle East and help them generate sales via our network that is always in search of the best resources and solutions for their projects. We have a proper specialization in the Middle East and UAE Markets. Launched in 1990, INDEX exhibition is the Middle East and North Africa’s largest gathering of the design community. 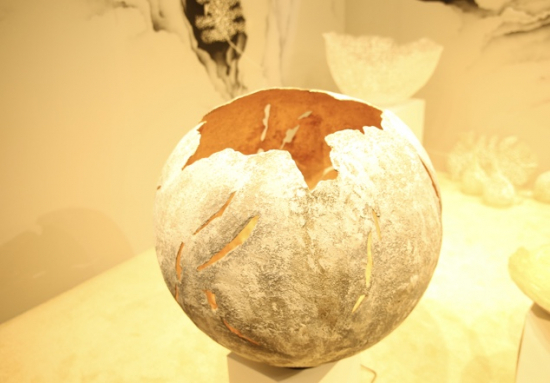 For the past 27 years, this design exhibition has been growing meticulously and flourishingly. 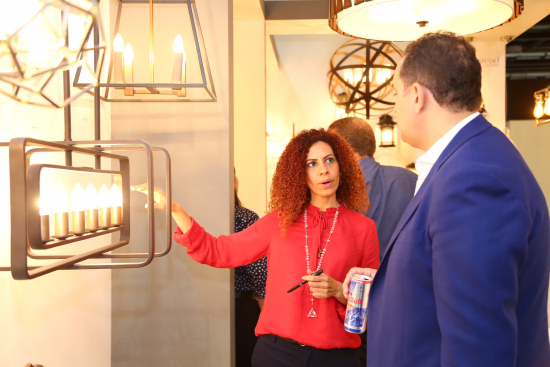 INDEX has been connecting architects, interior designers, developers, artists, trend setters, start-up companies and the biggest international names in the interior furnishings and fit-out scene across all industries of the Middle East design community. Not only it is the longest running show of its kind in the region, it is also co-located with WORKSPACE & SURFACE Design Middle East. Every year this trio of trade exhibitions becomes the heartbeat of design society in this region. INDEX being based in Dubai, the business capital of the Middle East, provides international suppliers with the most effective business platform leading them to establish their business in the epicenter of one of the world’s wealthiest business markets. It is the perfect sales and marketing opportunity to reinforce and increase your brand awareness & brand recall among an influential audience and to meet architects, designers, property developers & distributors along with other marketing professionals from the Middle East and North Africa design market. INDEX is comprised of 6 market leading sectors including Architecture & Design City, Accessories & Homeware, Cabinets, Closet & Storage, Furniture & Furnishings, Lighting & Technology, and lastly, Sleep & Textiles. They all have been carefully selected to make it as easy as possible for architecture, design and fit-out professionals to witness, examine, touch, and specify the products they need. This Design exhibition is materializing from the past 2 and half decades, but no two INDEX exhibitions have ever been the same. After a proper research of the market & new design trends along with legitimate discussions with professionals from all corners of the design world, INDEX event is formulated. This year INDEX is taking place from 26th March – 29th March 2018 at the Dubai World Trade Centre. With a total of 18 Country Pavilions and 1000+ exhibitors across the show floor, the 28th edition of the INDEX Design Series Co-located with WORKSPACE & Surface Design Middle East is expected to be attended by 25000+ visitors across 4 days. Even the past exhibitions were a huge success with over 30000+ attendees and was recorded a sales generation of over $630 Million. In year 2014, INDEX saw a pool of 21834 visitors from 105 countries. In 2015, around 25878 Regional and International members of the design community has attended INDEX including approximately 1900 VIP visitors. And as a result of this 4 day event, over $2.9 billion worth of new business was generated. That year immeasurable load of products was unshelled from over 12 design led areas. INDEX had about 23 knowledge packed sessions with 600+ Design Professional attendees for 4 days. And in 2015 more than 120 nominations were received from projects around the region and entered into 18 Award categories. Increasing the parameters and success position in 2016, INDEX saw a gathering of around 34496 visitors. Again in 2017, INDEX proved itself by orchestrating the biggest design show of the year. This year INDEX hosted 21 cutting edge seminars presented by Design Industry leaders. Here, the visitors were inspired by Interactive trend led activities; future design trend information’s and were enthralled by a showcase of unusual material and texture samples from around the world. In a research it has been stipulated that around 70% of exhibitors don’t exhibit at any other event in the region except INDEX. This means 592 international companies understands that INDEX is the most important design event for the region, offering exhibitors an access to over 25000 industry professionals. INDEX is the ultimate design experience. It encapsulates every facet of interiors and inspires. One of the key pillars of INDEX is to enable design professionals to innovate and create new invigorating projects that mirror the vision of the UAE. In this 4 day event, visitors have an access to over 48 hours of design content across the Design Talks, the largest free design conferences in the Middle East, along with a Trend Tour, Inspirational Trail and Trend Hub. 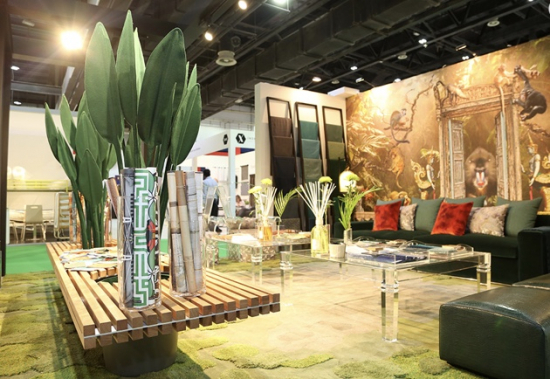 They will be treated to over 2000 of the best interior design brands on the planet, plus a design trail inspired by this year’s show theme “Design for Expression” which demonstrates how you can express yourself through Design and interiors. 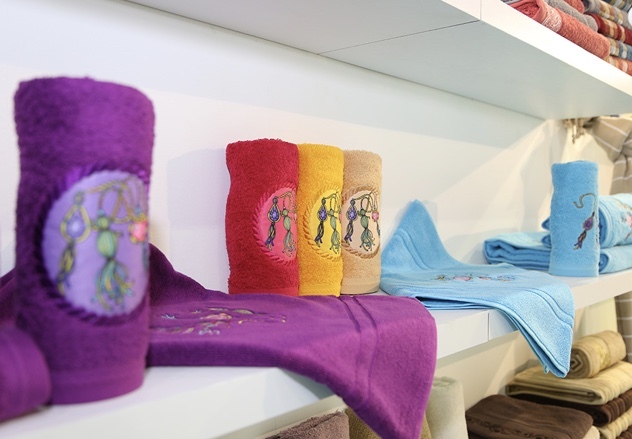 Each and every type of product, style and material that you can possibly imagine is available at this event. 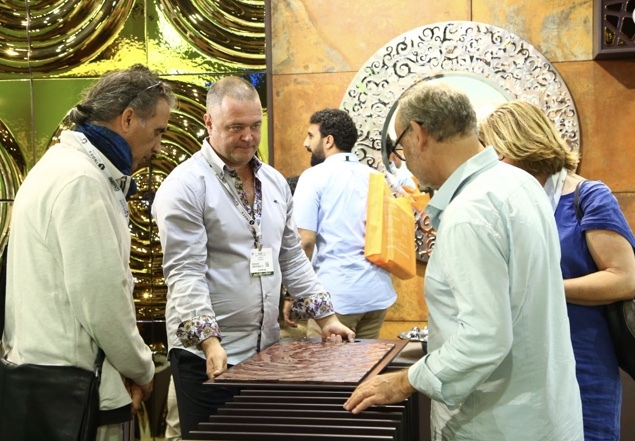 From luxurious wall coverings to quintessential lighting fixtures, from limited edition luxury furnishings to bespoke carpets and rugs, everything is demonstrated here on the show spread. INDEX is more than an exhibition. 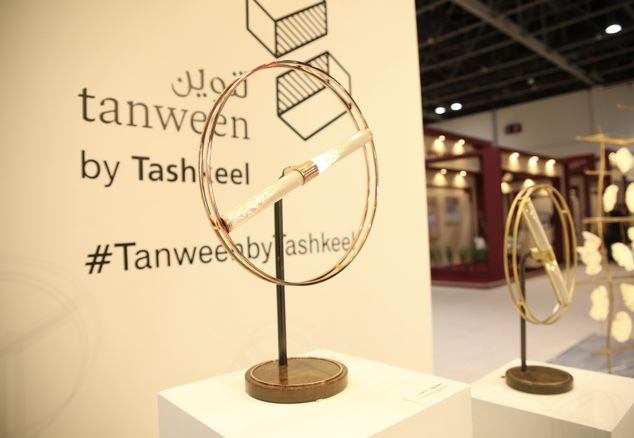 It is unlike any other event of its kind for the design industry in the Middle East. It gives unparalleled opportunities to businesses which may have previously been out of reach. This is something you cannot afford to miss. So don’t miss the chance of relishing the design episodes with HOMESSCOPE at INDEX!! Join us on INDEX from 26 – 29 March 2018 in World Trade Centre, Dubai. Also, save your time in sourcing the best Architectural, Interior Designer Firms, Contractors and also Individuals, here in the Middle East with HOMESSCOPE. Get introduced to our network of Luxury Brands, and Bespoke Product Manufacturers who are absolutely unique yet competitively priced. Unlock your resources absolutely Free of Charge, through US. Email us your enquiries at sales@homesscope.com and we will find the best to match your requirements. 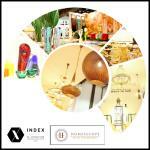 Keep up-to-date with the latest news, exhibitors, events and installations at the region’s biggest interiors and design event, INDEX (https://www.indexexhibition.com/). More high-resolution pictures available on request.